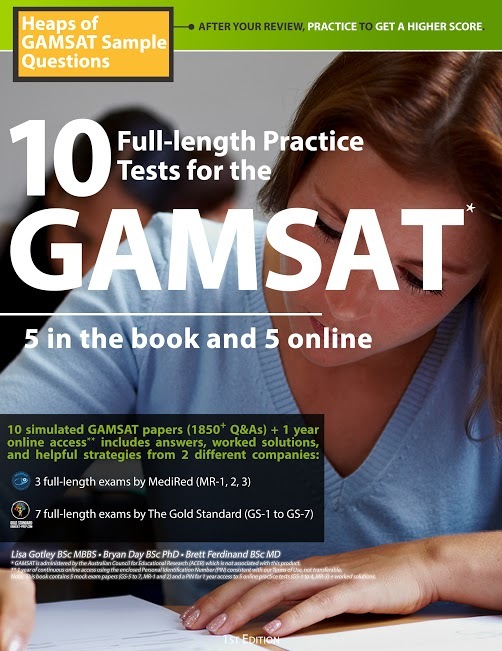 We begin by making available online lessons about argumentative/expository essay writing and reflective/discursive essay writing with excerpts from The Gold Standard GAMSAT textbook. The lessons from the book (available online with this program) provide you with a clear formula to respond to both Writing Task A and Writing Task B. You will also have 50 exercises to perform. Each exercise or practice question will be linked to a Forum so that you can share opinions. Additionally, you will get to read corrected and graded essays from students so you will know what to expect. At this point, you will be ready to practice yourself.